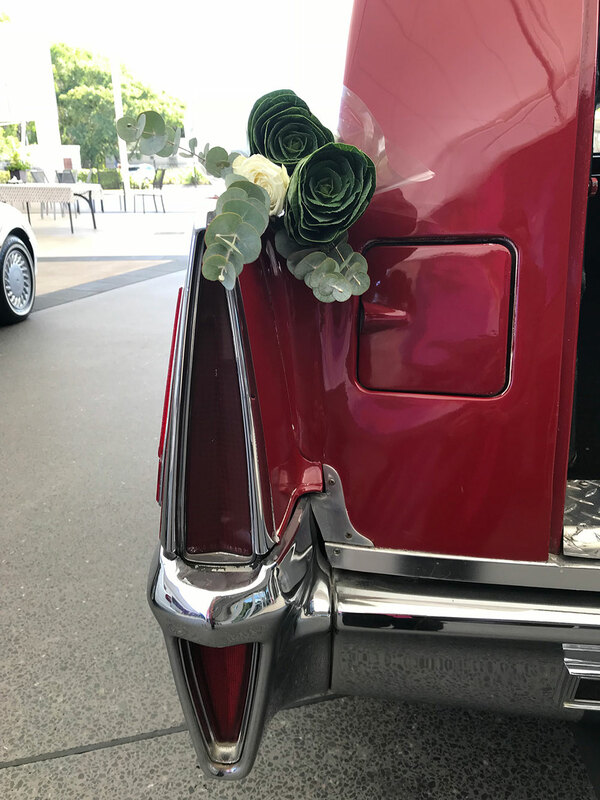 Now here's something a little different! 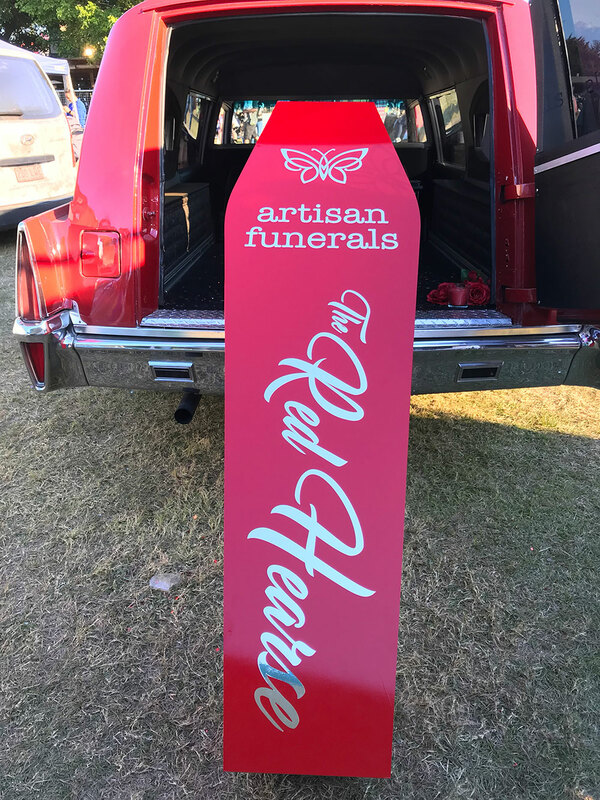 ‘Reggie’, our bright and beautiful, gleaming RED HEARSE is just one of the optional ways you can celebrate your loved one with a difference at Artisan Funerals. 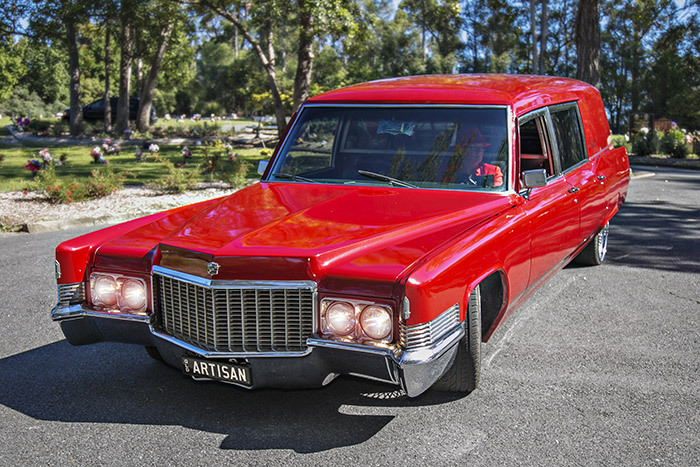 At 7 metres in length, our 1970 Cadillac Fleetwood Hearse (ninth generation – series 75) makes a formidable impression – a real show-stopper! 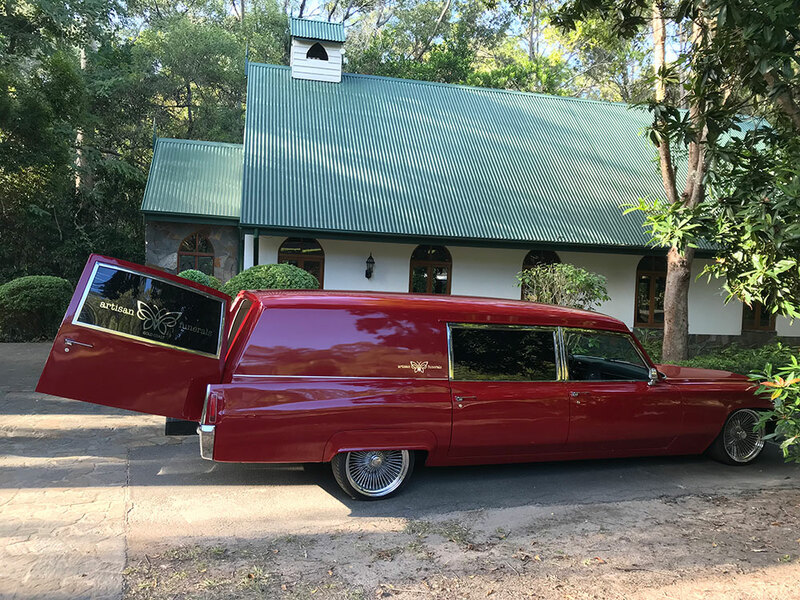 Originally built and used as a hearse in America, our red hearse was brought to Australia in 2011 and embarked on a 5 year restoration by a Father and son team in Clontarf, Brisbane. 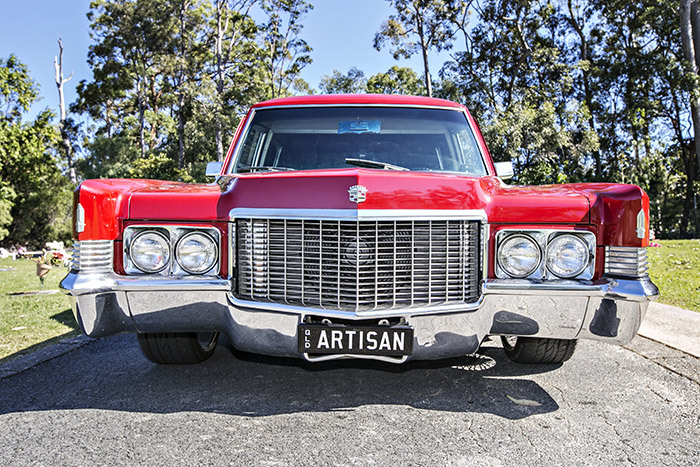 Powered by a big V8 engine, people really know you’ve arrived (or are leaving as the case may be!). 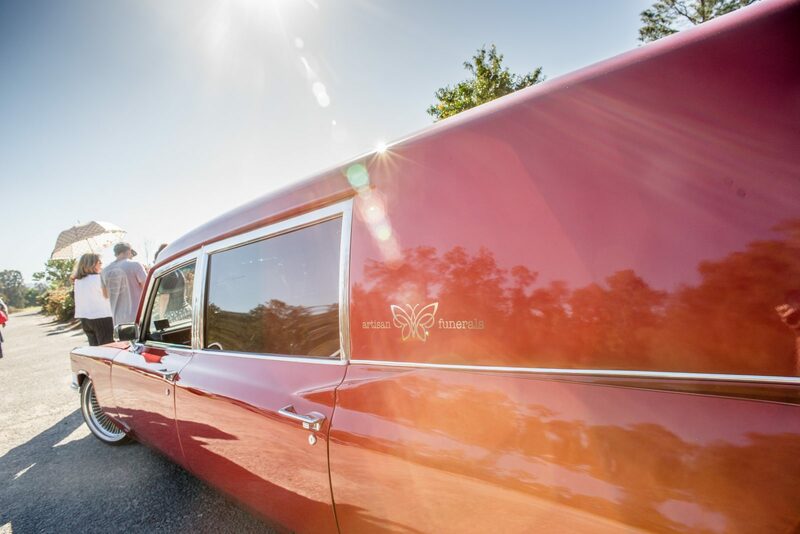 A limited production run of these vehicles was done each year to specifically cater for the funeral industry, however earlier models of this vehicle were also popular as ambulances in the USA during the 1950’s and 1960’s. 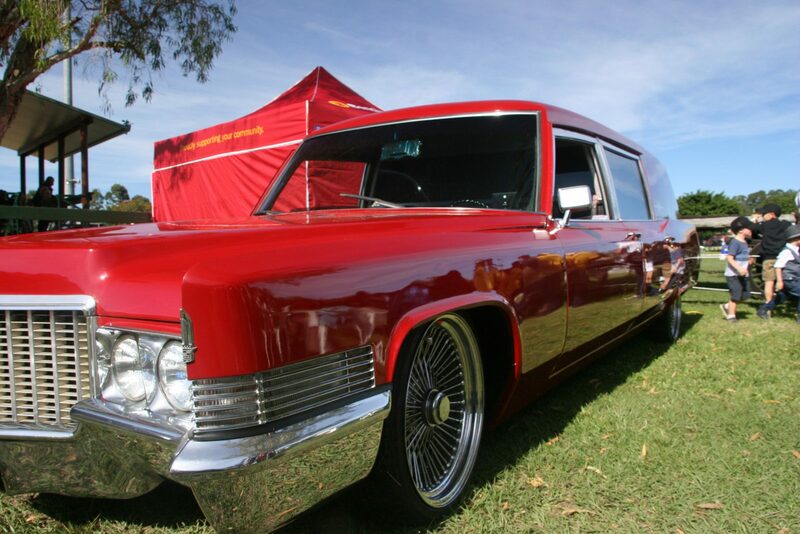 Another variant, using the same wheelbase, was popular as a limousine and famously used by American Presidents. 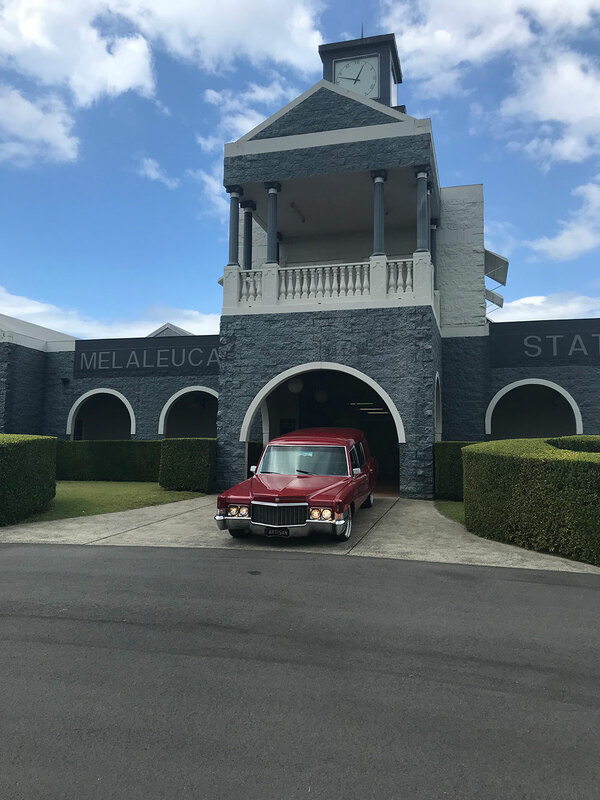 Lyndon Johnson brought one on his 1966 visit to Australia and New Zealand. 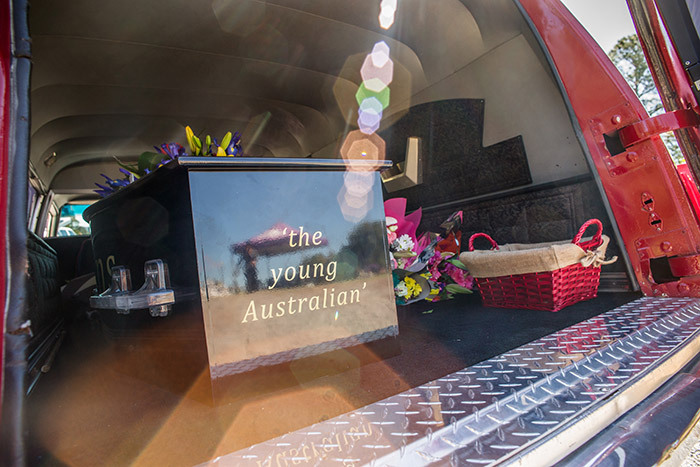 The type also featured in the 1980’s version of the film Ghostbusters. 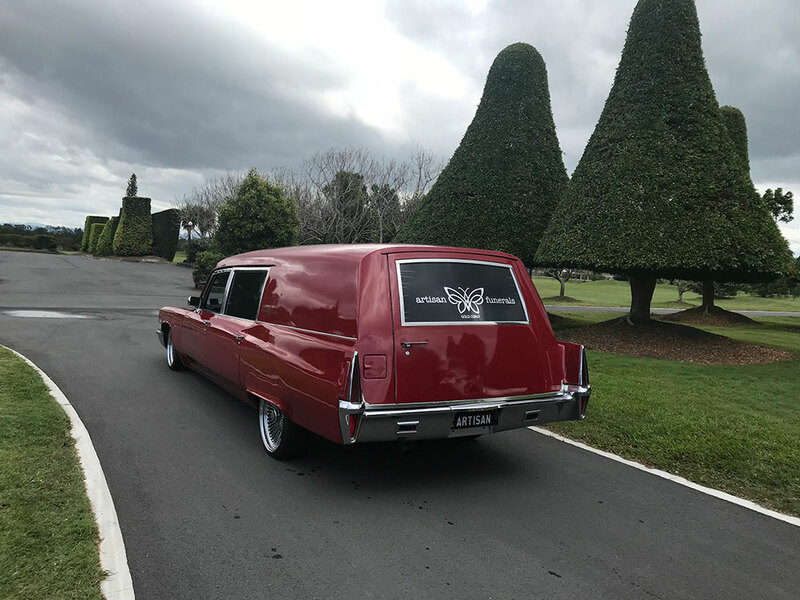 Now, Reggie is proudly owned by and back in use as a hearse with Artisan Funerals on the Gold Coast and Northern NSW, and is a symbol of how we like to do things a little bit differently. He has his own Facebook page and never refuses a friend request. 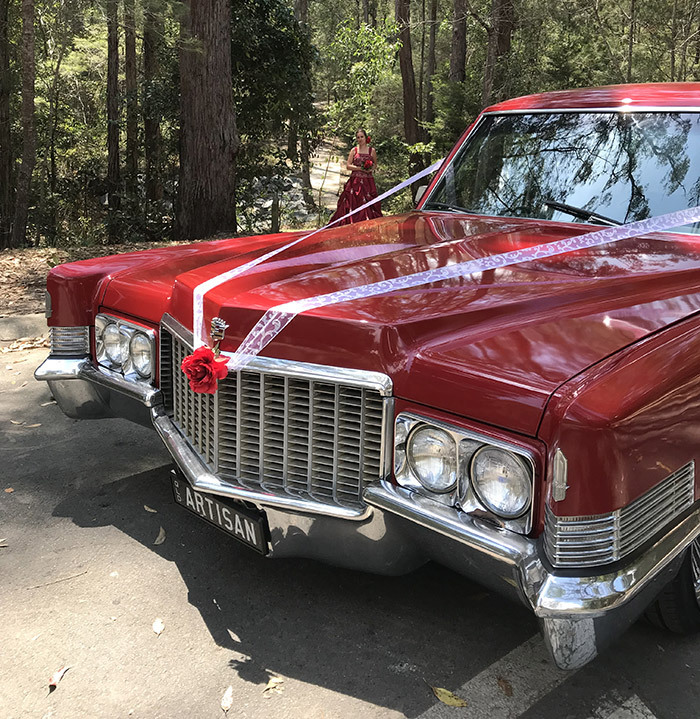 He can quite often be seen at vintage car gatherings and selected events so please don’t be shy if you want to take a closer look and, if time and circumstance allows, we’ll be happy to show you around. 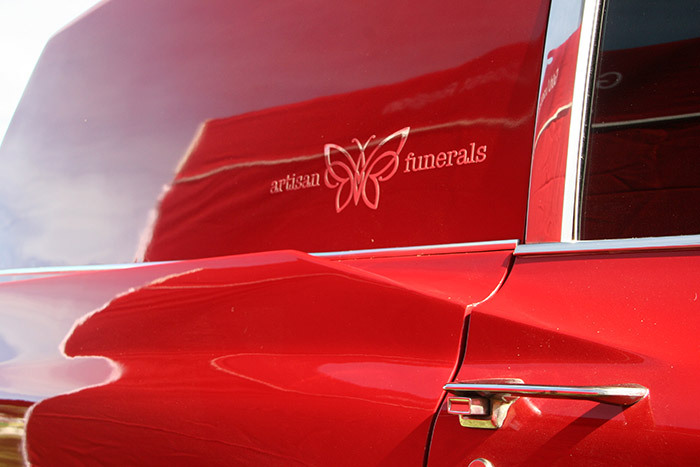 We do also have traditional hearses available if that is more to your taste – the choice is yours. 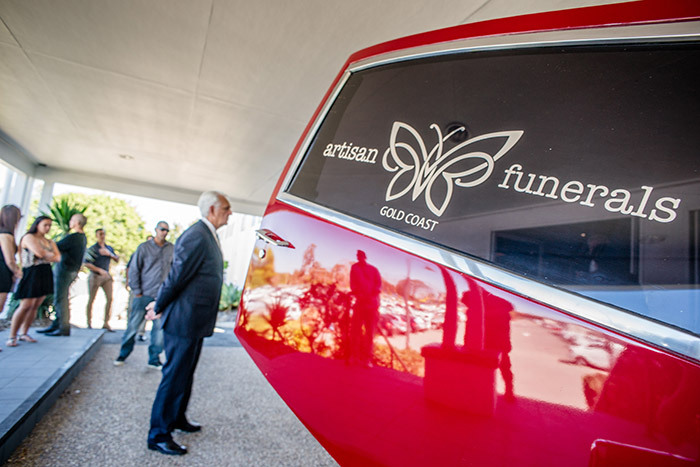 There are also some other interesting final journey options available that the Artisan Funeral staff can discuss with you as well.